In 1955 young Ian Nairn took the incandescent fury of the ‘poles and wires’ campaign, begun by John Betjeman and the proprietor of the Architectural Press Hubert de Cronin Hastings (‘H d C’) and, adding a whole thesaurus of blights on the face of Britain, put it all into his own words. 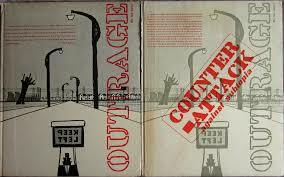 Laid out on the pages of the Architectural Review, blasted into life with the radical graphics and inimitable hand and eye of Gordon Cullen, the Outrage special issue woke up the nation. First came the AR readers, then those of the Daily Mail and its Fleet Street fellows, soon followed by the BBC audience and, incredibly, even the Duke of Edinburgh had used the word ‘subtopia’ – Nairn’s own word – in a speech. A movement to combat the national malaise, the mediocrity and mess of the built environment, was born. Now the government promises a Select Committee on the Built Environment for the next term of parliament – whoever is in charge. For Nairn the outer edge of Southampton, the starting point for his illustrative journey, looked identical to the outer edge of Carlisle. He photographed both to make the point. Now the new housing in Banbury is the new housing in Chelmsford, while that around Southampton is no different to that around Carlisle. House builders, working exclusively for the private market, offer precisely what ‘the market’ wants, what people know is already available. It is an entirely circular process, in which supply and demand are identical. So, time for someone fearless to rage against the second-rate, the imitative, the trite and to do so in words, images, graphics, on the page and online. To catch the eye and the ear and the imagination of the public. Committees of the self serving or even the well meaning will never manage to do it. This campaign needs to be ill mannered and foul mouthed, intense and melodramatic, even on occasion silly. But it must work. We have hit the nadir and the only way is up.